Didn't get around to posting these this morning, but here are my nails for today's challenge. I'm in the middle of swatching China Glaze's new holiday collection, so this is a quick recycle of one of the swatches. 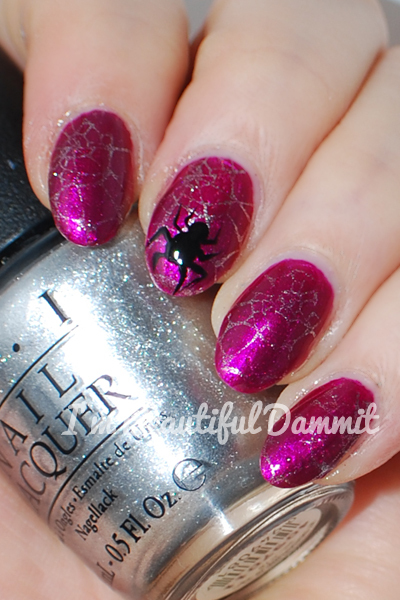 Still, I really love this color, and thought it gave this manicure a really pretty twist since it's not a typical Halloween color. China Glaze - Better Not Pout for the base. 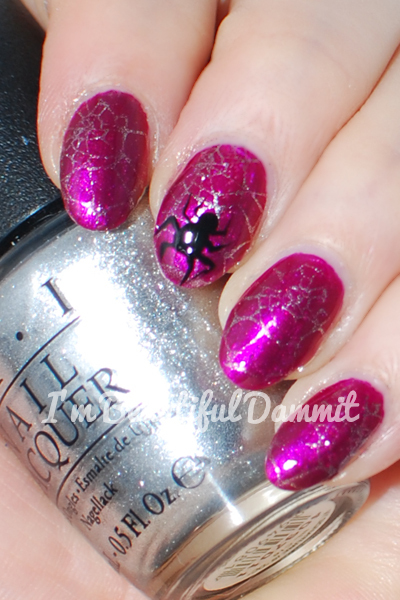 OPI - My Signature is DC for the web. Pure Ice - Black Out for the spider.